Posterior Urethral Valve Obstruction: This is narrowing or obstruction of the urethra affects only boys. Fetal Hydronephrosis: This is the enlargement of one or both the kidneys in which urine abnormally flows backwards from the bladder into the urethras. Multicystic kidney disease: This is when large cysts develop in kidney that hasn’t developed properly, eventually causing it to stop working. Renal Tubular Acidosis: This is the condition in which the kidney does not properly control the amount of acid in the body. It causes kidney stones and affects child’s growth. Wilms Tumor: This type of childhood cancer involves the kidney, and usually is diagnosed within the first 2 years. It can be treated with surgery and chemotherapy. Glomerulonephritis: This is the inflammation of the glomeruli which are part of nephron that has tiny blood vessel. 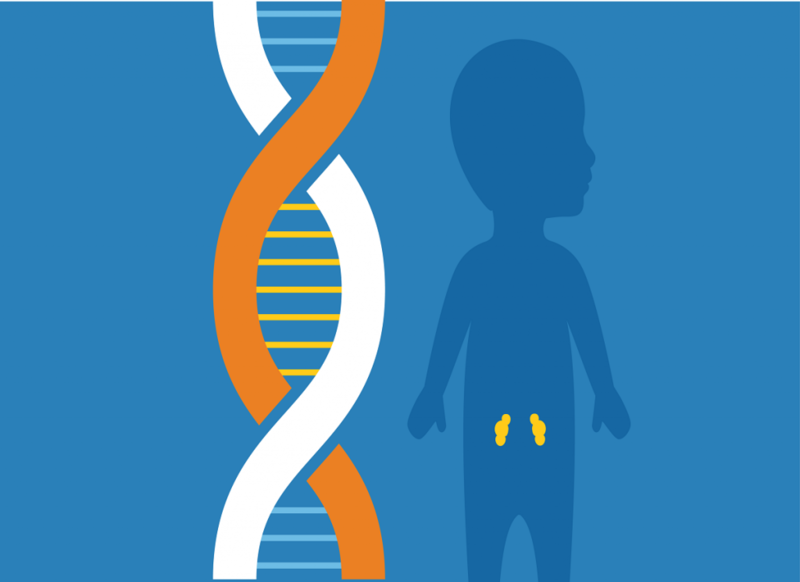 Nephrotic syndrome: This is the condition in which body loses large amount of protein through urine. Duplication of the ureters: In this condition there is kidney which has two ureters instead of one. It leads to infection over the time. Horseshoe kidney: It’s a condition in which two kidneys are fused into one arched kidney that usually functions normally but is prone to develop problems later in life. High Blood Pressure: The kidney controls blood pressure by regulating salt in the body and by making enzyme renin. The many causes of high blood pressure include any of kidney disease mentioned above. Kidney stones: The result of a build-up of crystallized salts and minerals such as calcium in the urinary tract. Nephritis: This is the inflammation in the kidney. Urinary Tract Infection: It is generally caused by bacteria, such as E.Coli.